LONDON (21 JUNE 2011) - The 2011 WGSN Global Fashion Awards, sponsored by Swarovski Elements, launched in London on the 20th of June at St Martins Lane, to the who’s who of the London fashion industry. 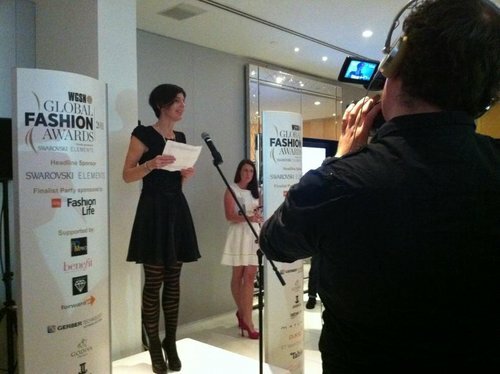 Following the London shortlist announcement, the winners will be accepting their trophies at a ceremony that will take place at Gotham Hall in New York City on the 20th of October 2011 in front of an audience from around the world of fashion’s most influential industry insiders. 1x1 Studio, Aurélie Fontan, Bowen Hu and Shie Lyu have been announced as the four winners of Fashion Scout’s Ones to Watch Award for the Autumn Winter 2019 season. The menswear trade show is set to debut a trend program produced by Cool Hunting, as well as a line-up of men's fashion forums and trend presentations made in partnership with trend forecasting company WGSN.